Corboy & Demetrio hosted a book signing party on Nov. 30, 2010 for the launch of “Chicago’s Lake Shore Drive: America’s Most Beautiful Highway,” co-authored by Bernard Judge and Neal Samors. The book explores the beauty and history of Chicago’s Lake Shore Drive. It includes more than 250 photographs representing the past 150 years of the roadway’s progress from a pleasant horse and buggy pathway in front of the Gold Coast mansions to the eight-lane hybrid boulevard of today. “The lawyers and staff at Corboy & Demetrio were delighted to host the premier book signing event for our good friends, Bernie Judge and Neal Samors, authors of ‘Chicago’s Lake Shore Drive: Urban America’s Most Beautiful Roadway.’ This book is a tremendous achievement by these two outstanding authors. It is a magnificent chronicle of our beautiful Lake Shore Drive and is a must-have for all Chicagoans,” said Tom Demetrio, name partner at Corboy & Demetrio. Bernard Judge is the former Editor and Publisher of the Chicago Daily Law Bulletin, as well as former Editor and General Manager of City News Bureau of Chicago, former Senior City Editor at Chicago Tribune and former Associate Editor of Chicago Sun-Times. Neal Samors is a Chicago historian and an award-winning author of 18 books on Chicago neighborhoods, downtown and the history of the city and suburbs. Corboy & Demetrio is one of the nation’s premier law firms. 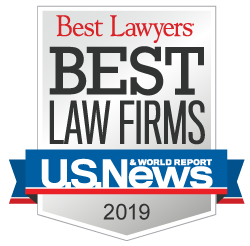 It represents individuals and their families in serious personal injury and wrongful death cases arising out of airplane and railroad disasters, failed products, medical negligence and a host of other catastrophic events. Corboy & Demetrio is renowned for its achievements in the courtroom and for its contributions to the community. The rights and concerns of its clients are at the core of its practice. That commitment, dedication, compassion and relentless drive has resulted in exceptional service and exceptional results for its clients. The firm has acquired more than $3 billion in settlements and verdicts, of which nearly 600 were in excess of $1 million. View additional photos from the party here. To contact Tom Demetrio, or any other lawyer at our Chicago personal injury law firm, call 312.346.3191. We are available 7 days a week, 24 hours a day.